Molded from a semi-flexible, crack resistant plastic, Concrete Wrap grips tightly around concrete columns minimizing the force of tow motor impact. Thick foam padding, optimal 2" thickness, 42" in height. 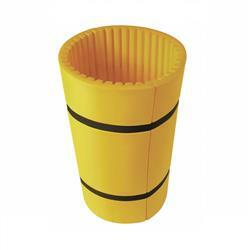 UV stabilized, chemical resistant and non-conductive. Easy installation with included locking cinch straps. Since 1998, thousands of Column Sentry products have been sold around the world. Following the success of Column Sentry, came Rack Sentry, Concrete Wrap, Corner Sentry, Park Sentry and Guard Post. All of these safety products protect something from damage when it gets hit. 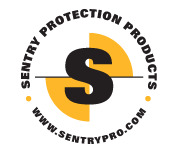 Sentry Protection Products impact resistant protection products are distributed and sold worldwide are known for their innovation and quality and have been recognized for this by a number of industry organizations. Located in Lakewood, outside of Cleveland, Ohio, Sentry continually works to introduce new ideas to the marketplace. Recognized for simple design, ease of use and value to users, Sentry products are now manufactured in the US and Europe, and are sold all over the world.